High level officials address the general debate of the 50th Session of the General Assembly of the UN (New York, 25 September - 11 October 1995). 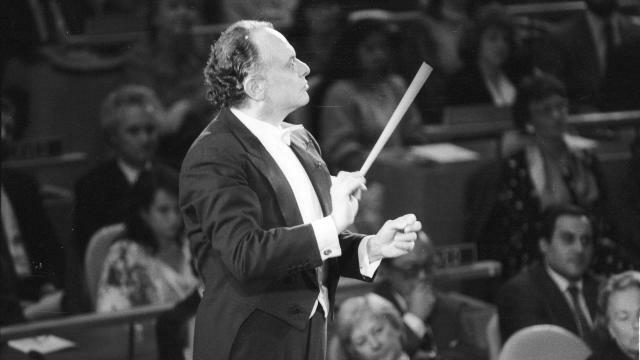 1984 UN Day Concert at the General Assembly Hall in New York: The Pittsburgh Symphony Orchestra, conducted by Lorin Maazel, and violinist Viktor Tretyakov. FOR LISTENING PURPOSES ONLY. Text promoting multilingualism introduced in General Assembly to ensure language consideration in UN recruitment at the 34th plenary meeting of the 50th session.